I have been disabled from all work and my doctor tells me I will not be able to return to work for at least a year. 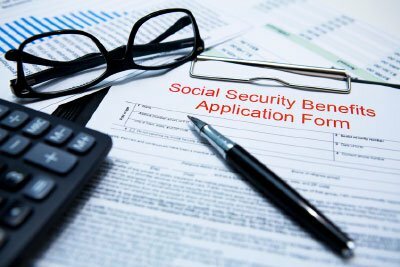 Am I eligible for Social Security disability benefits? Probably, as long as you have worked at least five years in the ten years before you became disabled. Depending upon your age, you will need to be able to prove at the very least that you are unable to return to past relevant work (work you have done in the last 14 years) and perhaps you will need to be able to prove you cannot return to any work that is available in the national economy. My doctor has recommended that I apply for Social Security disability and has promised to assist me in getting benefits. Do I also need a lawyer to help me? Your doctor’s opinion is a crucial piece of getting you benefits. Unfortunately, however, the Social Security Administration is more interested in your doctor’s opinion about what your impairment is than whether the doctor believes you are capable of returning to work. Here at Moore & Jensen, we can work with your doctor to get the appropriate information from the doctor to the Social Security Administration to assist you in getting benefits. I have just applied for Social Security benefits. How long will it take for me to get an answer? The initial determination by the Social Security Administration will probably take three to four months. If you are turned down, you will receive a document entitled “Notice of Disapproved Claim.” You can request reconsideration of this notice and that will take another three to four months. If you are turned down again, you will receive a document entitled “Notice of Reconsideration.” At this point, you can request hearing and that may take as long as 18 months to get the hearing scheduled. The Social Security Administration is currently working very hard by sending judges in from all over the country to assist the Eugene Social Security office in dealing with these claims so that they can be decided on a more expedited basis. We will do everything we can to get the case prepared to make sure that there are no delays after the hearing date is set. I am disabled from work and I have no money and I have barely enough money to survive. How can afford to pay a lawyer? Here at Moore & Jensen, we, like all lawyers who represent claimants in Social Security disability cases, work on a contingency fee basis. We get paid out of your past due benefits, which means that we have to win in order to get those benefits for you and get only a portion of those benefits. You should feel free to contact us so that we can discuss that in more detail.